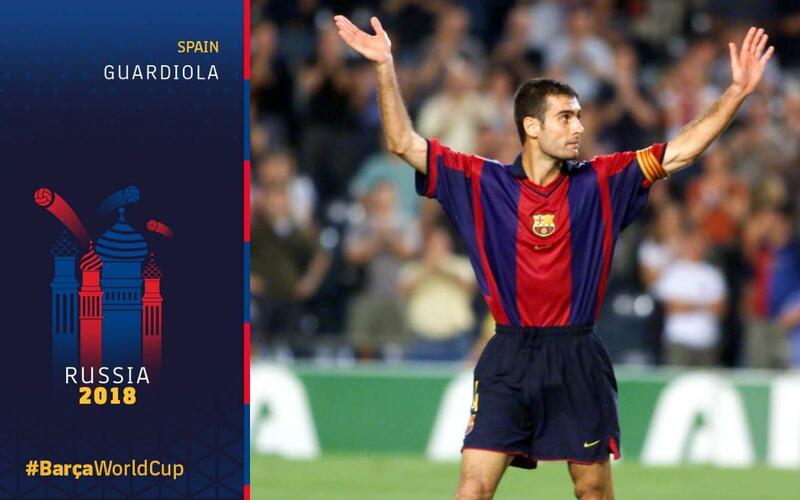 Josep Guardiola is one of the most beloved figures for Barça. The former player and coach provided some unforgettable moments in the history of the Club, including leading the Barça team of the six cups. Characterised by the great vision he possessed and the ability to control the rhythm of matches, he was a member of the Dream Team which was considered the natural extension of the then coach Johan Cruyff on the pitch. Unfortunately, his adventure with the Spanish team was beset by bad luck. Two different injuries caused the midfielder to miss two consecutive World Cups. In 1998, the then captain of Barça pulled out of the squad after considering that he was not in the right physical condition, an injury to his hamstrings the problem. Four years later in 2002, and when at Brescia in Italy, he was unable to play in the World Cup in Korea and Japan. Guardiola had suffered a distension of the internal collateral ligament of the knee which ensured he couldn’t participate. Pep left FC Barcelona in 2001 and signed for Brescia. He was accused of doping, and was banned for four months, although it was later proved that he had never done so and he was absolved of all the blame. After playing in Qatar and Mexico, he retired as a player in 2006. A year later he began his career on the bench as a coach at La Masia. In 2008, he was chosen to lead the Barça first team, where he had four years full of success. After coaching Bayern Munich, he is currently in the English Premier League with Manchester City.